The Israeli Diamond Industry is based on a tradition that goes back hundreds of years. It prides itself on its skillfulness, resourcefulness and uniqueness as well as its unprecedented creativity and cutting-edge technology. It adheres to a strict ethical code and offers buyers a wide variety of merchandise and services all under one roof. The General Labor Federation – Histadrut – also is a part of the industry’s activities, particularly in diamond factories and polishing plants. The Israeli Diamond Industry’s high technological standards, its skilled and trained manpower, as well as the incorporation of the second and third generation in the Industry, help to preserve its status as an international leader even during world recessions. 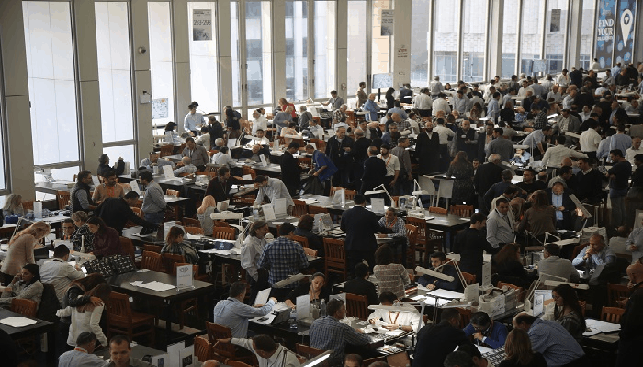 Among the various entities that function within the Israeli Diamond Industry is the Israel Diamond Institute Group (IDI), which plays a central role in promoting the Industry in the world market. The Group, along with its subsidiaries and various units, acts effectively to develop new horizons and innovative methods that help to position the Israeli Diamond Industry at its fitting place in the forefront of the world industry and sophisticated technological research. IDI Group activity is conducted via offices in Hong Kong as well as through the Harry Oppenheimer Diamond Museum, and the Israel Diamond Technology Center (IDT). Both the Israel Diamond Exchange, which represents Israeli diamond merchants, and the Israel Diamond Manufacturers Association, which incorporates Israeli diamond manufacturers, act in various ways to strengthen and improve the status of Israeli diamantaires vis-a-vis governmental bodies and international organizations. The Israeli government also plays a role in the Israeli Diamond Industry through the Diamond Controller within the Ministry of Economy. It supervises the import and export of diamonds in Israel.